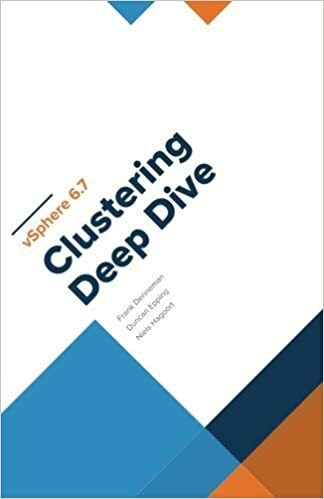 You asked for it: vSphere 6.7 Clustering Deep Dive ebook, now available! We knew when we released the paper version of the book that many would yell: What about an e-book? Although sales numbers of the Host Deep Dive and previous Clustering Deep Dive books have shown that by far most people prefer a printed copy, we decided to go ahead and create an ebook as well. It is not as simple unfortunately as simply uploading a PDF or an MS Word file. We had to spend evenings reformatting the book in an e-book authoring tool, compile it, review it, fix issues, compile again etc. Nevertheless, it is done! You wanted it, so go out and pick it up, right before the weekend! Also, note that we have both the ebook and the paper version available right now, we are working on linking the books, so you can get a nice deal for both versions. Also, I would highly recommend picking up the Host Deep Dive books as well, and while you are at it pick up the VDI guide, it is an excellent read! Amazon links are on the right side for your convenience. I am not sure to be honest, this fully depends on Amazon unfortunately. When will the Kindle edition become available again?